“Your Kingdom come” is the prayer of every Christian, but how are believers to bring Heaven down to Earth? By having the right image of themselves and by partnering with the Holy Spirit, says Sun Ho. 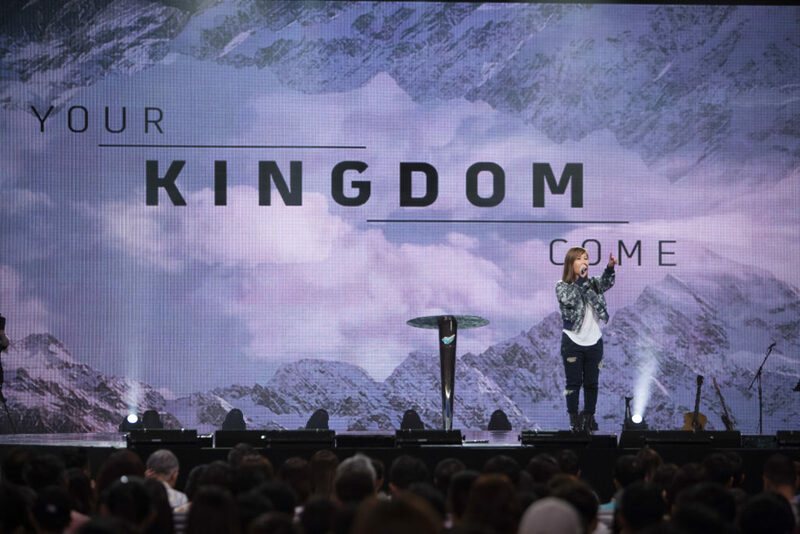 Three weeks ago, City Harvest Church’s executive pastor, Sun Ho, preached a message on the Kingdom of God. 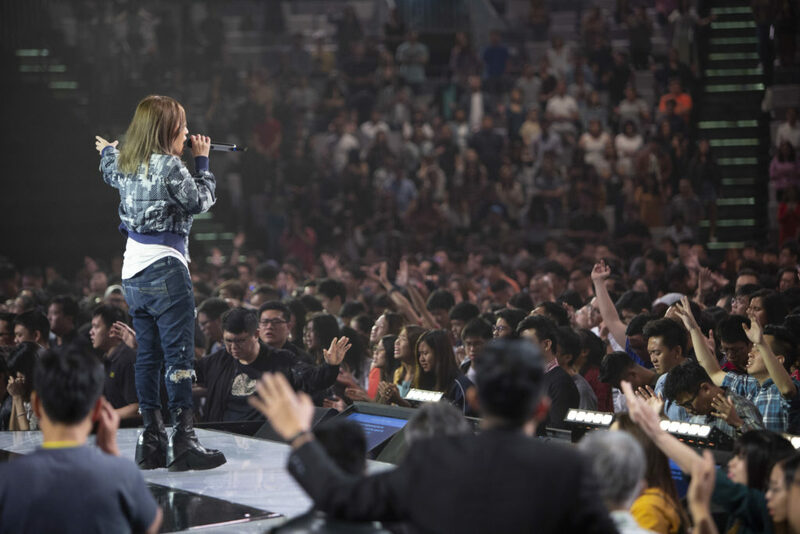 At the end of the service, the church experienced the presence of God in a tangible way—the very demonstration of the “felt reality” of Heaven that she had preached about that week. 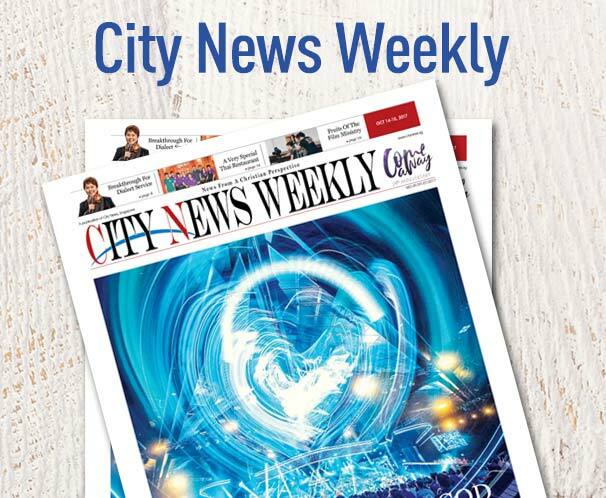 “It was like a weight rested on this place,” Ho said on the weekend of Aug 25 and 26 as she described what she felt on stage that day. Sharing the testimonies she received from various members, Ho started her message by pointing out that the Kingdom of God is manifesting in the lives of many. She encouraged the church to take on the responsibility of establishing God’s Kingdom on earth. What is more important is that the felt reality of God’s Kingdom can overflow out of the believer’s life. Ho illustrated her point with the account of Jesus asleep on a boat as His disciples faced what seemed like a deadly storm. The storm was tossing the boat violently, threatening to sink it. The disciples were in a panic, but Jesus was asleep. When the disciples reached a point of desperation, one of then woke Jesus up. Jesus simply rebuked the storm and it ceased immediately. Christians should not live in reaction to the power of darkness, the pastor emphasised. At every turn, the devil is continually accusing Christians of being not enough. Instead of crumbling under his lies, believers need to focus on the promises that God has given them in His Word. “We are made in God’s image and likeness,” Ho reminded the church. This means that God made man an exact copy of Himself. Physically, man resembles God’s appearance and inwardly, man is made a spiritual being, creative and imaginative like God. Yet Eve believed Satan when he said that if she ate of the forbidden fruit she would be like God—truth was, she was already like God! Likewise today, the devil lies about the identity of every son and daughter in the house of God, attacking believers with self-doubt. Many times, Christians believe themselves to be unworthy, and think they need to pay some kind of penance. Ho reminded the church that Jesus had already paid the price on the cross. When a person forgets what is written in the Bible, he forgets that he is the son of God and thinks of himself as a servant. Just like the lost son in the parable of the prodigal son (Luke 15:19). “But a lost son is still a son,” Ho reminded the church. God gave dominion and authority to man when He created Adam, but it was lost to the devil when man sinned against God. But Christians are still sons and daughters of God, and now that they are redeemed through Christ’s work, it is crucial for them to contend for more of heaven on earth. “Without God, we cannot. Without us, God will not,” Ho said, quoting St Augustine. Since God has given dominion over Earth to man, His integrity would not allow Him to intervene in the running of Earth. God needs to partner with believers, and before He does anything, He looks for a man to stand in the gap. “The second thing that you and I need to do, in order to bring the Kingdom of God down on earth is to partner with the Holy Spirit,” said Ho. Just as Jesus always leaned on the Holy Spirit for strength, Christians need to learn to partner with the Holy Spirit. “It was like God was asking Moses, ‘Are you asking me who you are? Moses, you are the person I like to be with.’” Ho said, borrowing from a sermon she recently heard by Bill Johnson of Bethel Church. The pastor reminded the congregation that God loves each one of them and wants to work with them. The service ended with a powerful altar call and prayer for all who desired to experience God again.